All little girls love to carry around bags! 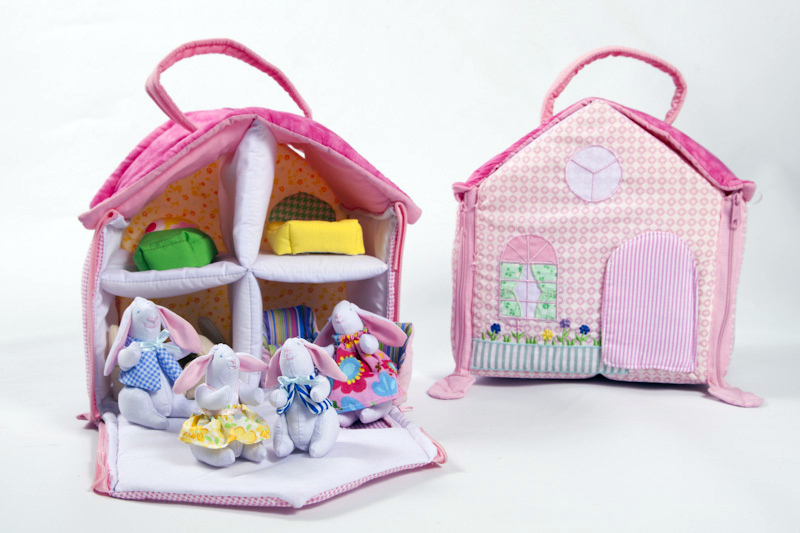 And here we have a travelling dolls’ house bag – except in this case it is our Bunny Fabric Playhouse with its family of Bunny Rabbits. 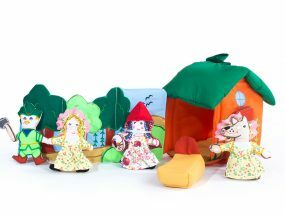 We sell more of these fabric playhouses than any other. 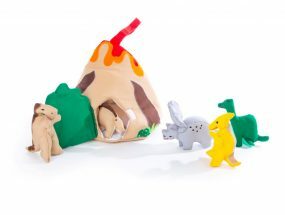 This Bunny Fabric Playhouse has four rooms with fabric furniture – beds, table, chairs, sofa etc., plus of course Mummy, Daddy, Brother and Sister Bunny come too! 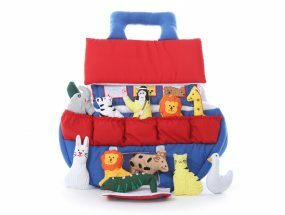 The Front of it closes up with velcro tabs to make a little house with a handle to carry around. 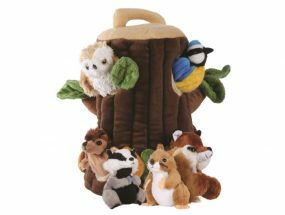 It measures 22cm wide x 22cm tall.